Available for agencies, businesses, and birthday parties. Create awareness to push their summer season - without spending a dime. 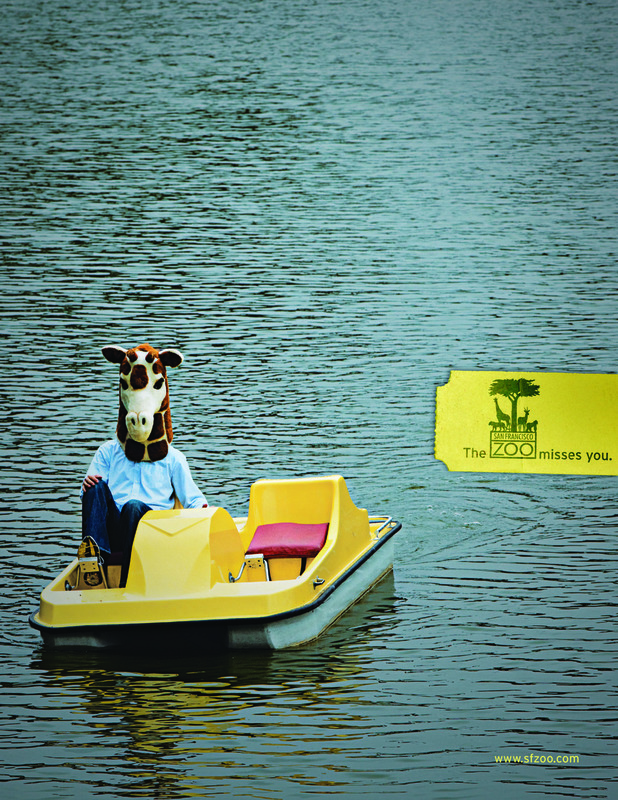 With just a flip camera, a few animal heads and a handful of donated 5-10 second slots of airtime and print space, we reminded locals that when they miss the San Francisco Zoo, the zoo misses them right back. The response was overwhelming as the zoo saw its highest summer attendance in thirty years.